Yes, more in the air than the -20:) I also hear the conversations at dawn. The birds do seem extremely active. Your lovely images pay homage to their strength and the promise of relief from the bitter cold. Wow, this is really cold! Luckily, we enjoy almost 10 degrees during the day and I can feel that springtime is close. Oh wow that is cold – these images really transmit it..I can feel the soft fluffy underdowns in the birds, its so amazing how they survive.. Wishing you warm days ahead! fabulous photo..sounds mighty cold though..how about Global warming? 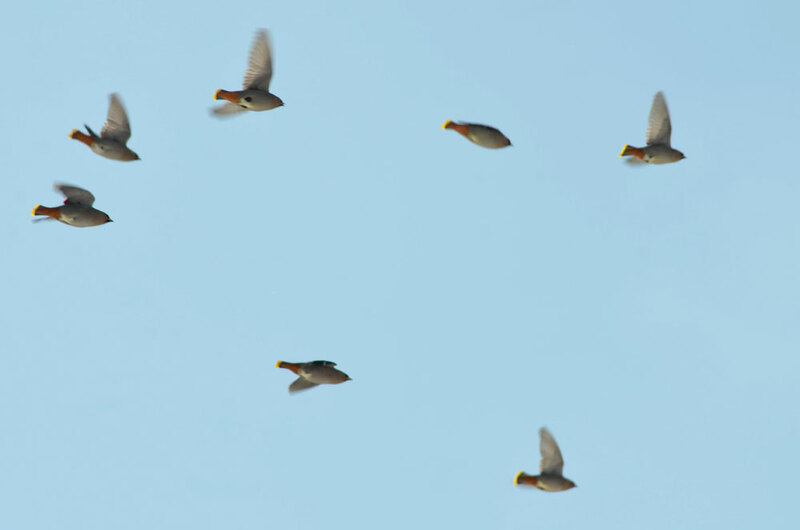 I have often wondered why birds frequently face the same direction when they’re in groups. 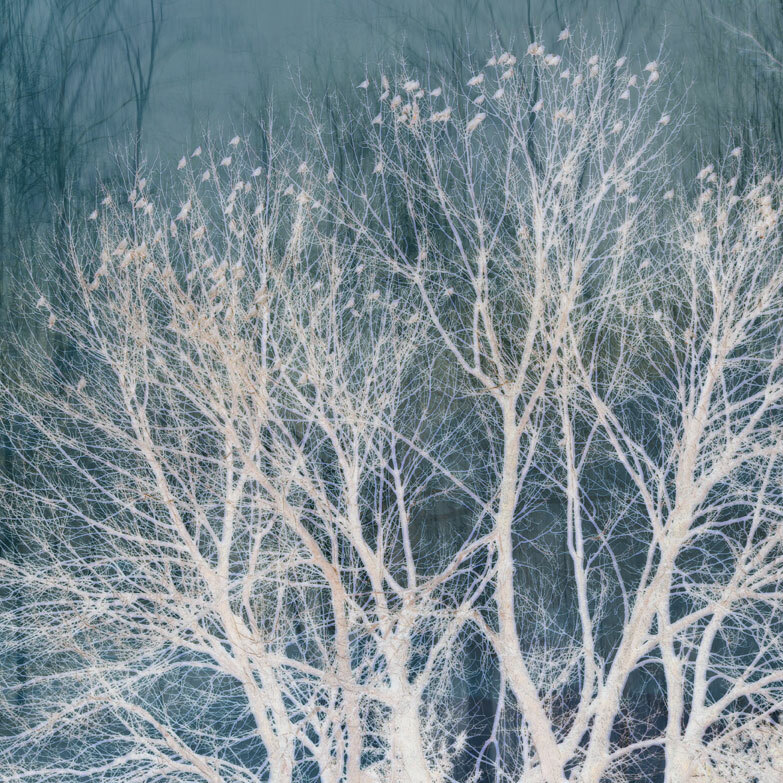 Love the tree filled with birds all facing into the wind, or towards the sun, or maybe facing spring. Do they see it? I love the end of winter. Where it’s still cold, but nature is starting to wake up again. Stay warm, spring is on its way! Me too!! 🙂 What a wonderful post. pure magic. 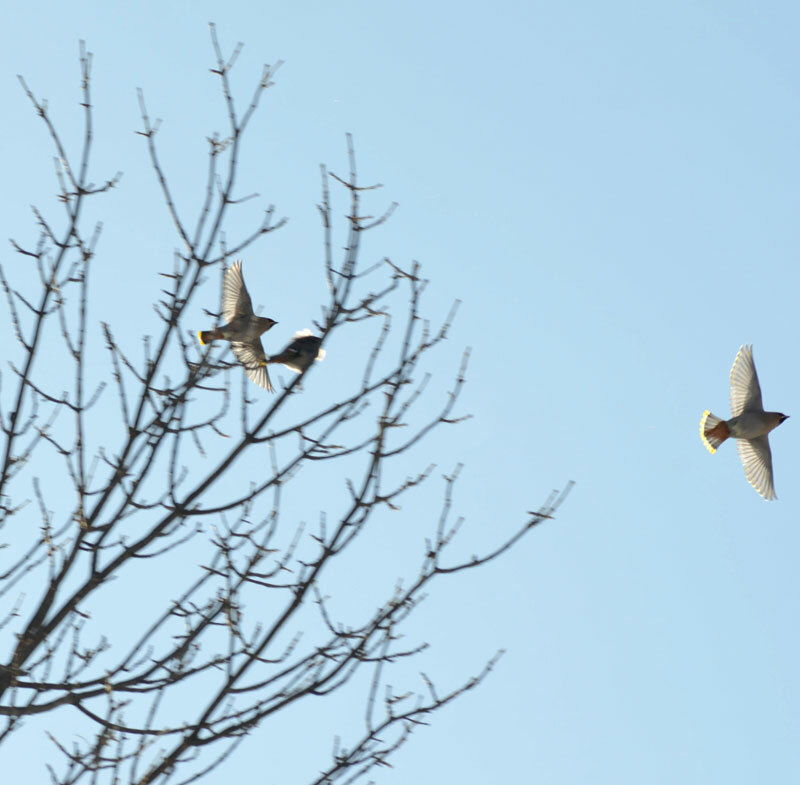 What a bright sight those waxwings make! 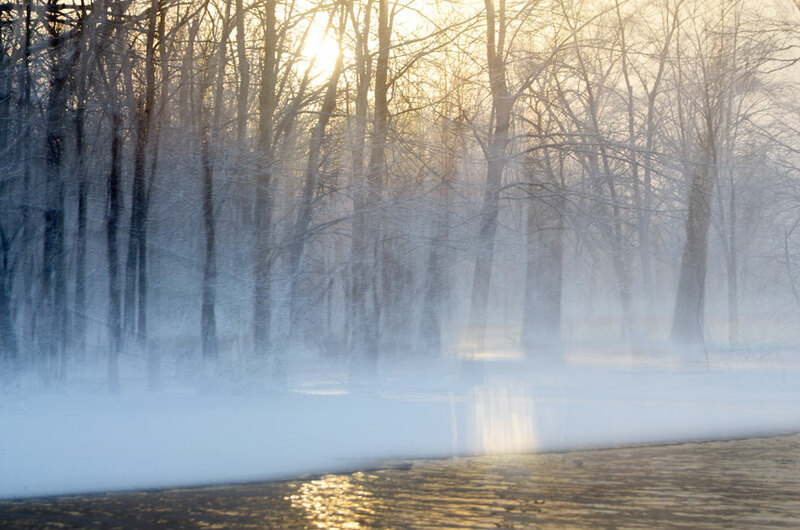 And the first photo with the misty glow over the snow is gorgeous. A beautiful post in every way. Oh, thats cold! Lovely birds and pictures of them, and the first picture are so lovely with the sunshine coming through. your photos were magical! I said to myself on the first one “how cool” then read… how COLD you’ve been! That’s way too cold. These images are just wonderful Karen! Lovely pictures. 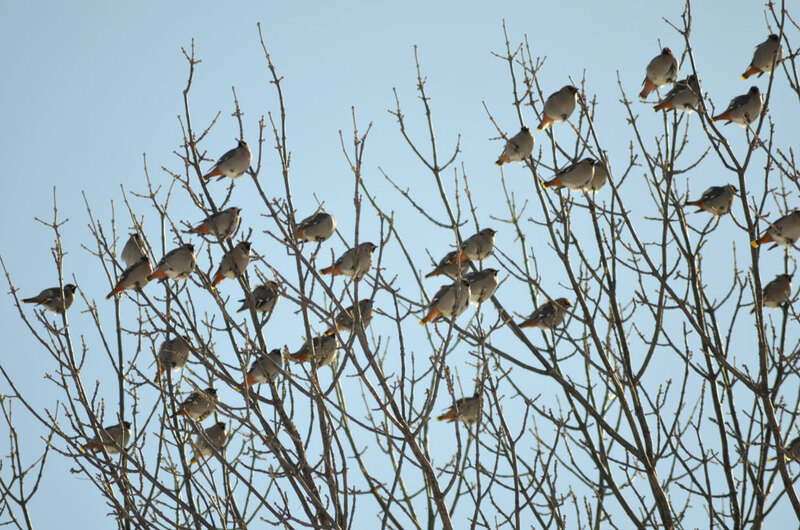 The Waxwings in the silver tree really caught my eye! While the weather sure sounds brutal, these shots are anything but. Cedarwaxwings are one of my favorites, for their beauty alone…but the frost-bitten tree is excellent, a true testament to the beauty a frigid weather can bring. Ouch! Hope the thaw comes soon. Wonderful shots, Karen! I love the wild, frigid etching of the second. Well, you make the best of it, but I’m sure it’s enough already. 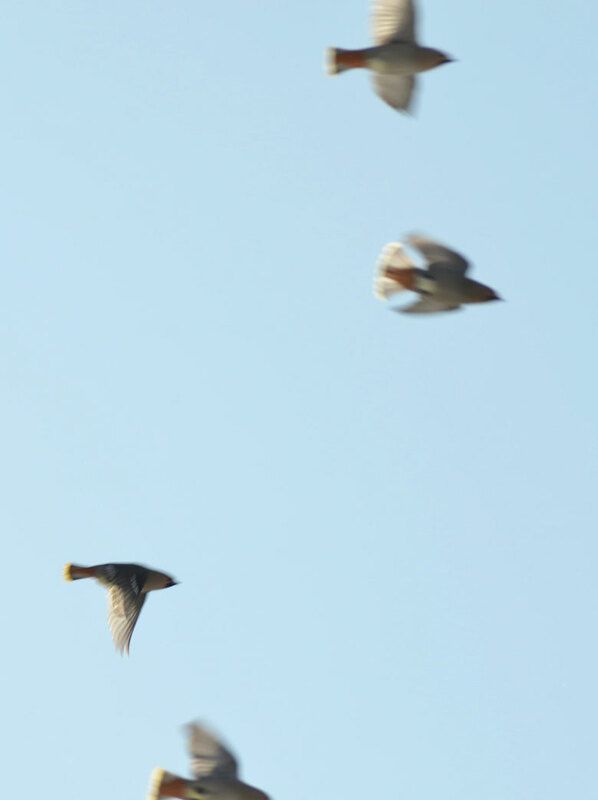 Waxwings are mysterious harbingers of – well, just of spirit, to me. They don’t seem to be easily predictable as to time and place, like so many other birds. You see them, it’s a gift, and they’re off again. And when you have the binocs and can study those subtle colors – that’s the best! Beautiful photos! Beautifully and serenely surreal yet so very real. 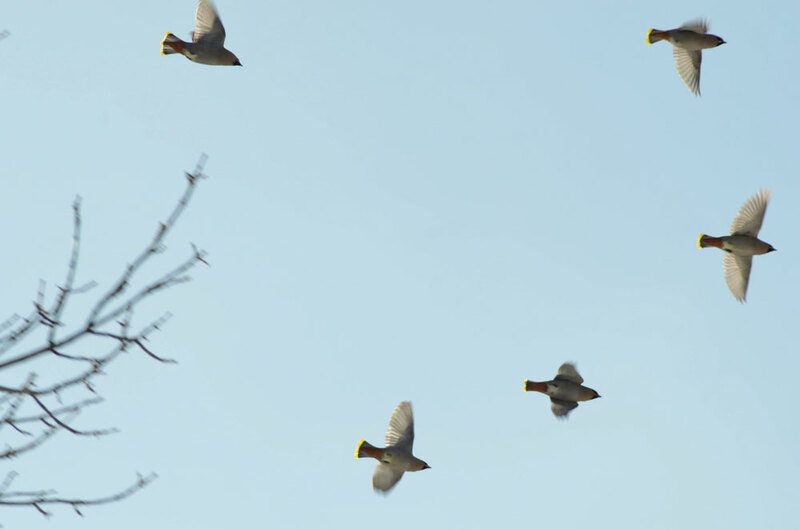 Those waxwings are delightful! Here in NJ, March has started with three winter storms in a row but I can hear the birds calling for spring here too. Beautiful images. Wonderful post. i appreciate the commentary you add to your remarkable photographs. The mysterious top photo–what is that? It looks like evaporation caught in mid air! I think we could call the first photograph a ‘double-take’ in both a literal and figurative sense. It is 2 layered exposures of the same scene – one exposure with camera movement, one without.